This is about the 2:45pm Aero flight NG127 which I boarded from Lagos to Abuja on Saturday 21st of March and what happened during a sand storm on that day. For you to understand the story, I need to start from the end. First watch the video of what happened when we eventually landed safely in Abuja 4 hours after our supposed 55 minutes flight from Lagos to Abuja. Our final landing in Abuja after the whole ordeal. When the air craft becomes church you know something happened there. I must say, the spirit of Nigerians is simply remarkable. Our 2:45pm Aero NG127 Lagos to Abuja flight was delayed by an hour due to the late arrival of the aircraft from its previous trip. 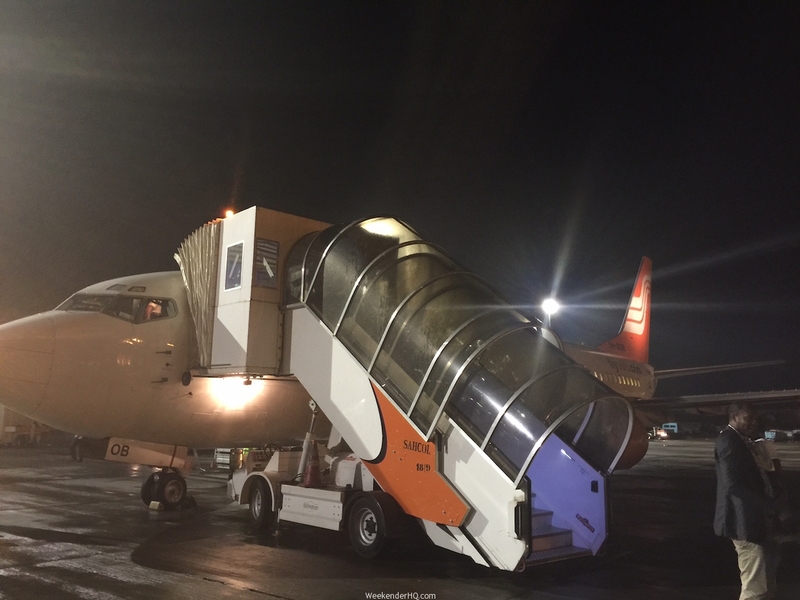 We boarded the flight as normal, however there was a slight wait before we proceeded to move as the air hostesses were trying to change the seats of a family 4 (Parents with a 5 year old girl and a new born baby) who had been assigned exit seats. So they went around asking rows if they were willing to swap seats. I was quite impressed that the Aero hostesses were keen to follow procedures and move the family away from the exit seats as in case of emergency they would be in no position to open the exit doors. At the same time I wondered how the counter staff managed to make that seating error. The seats were finally swapped and the family was moved to the row just in front of my husband and I. After 2 minutes, the 5 year old girl started loudly asking her father for her life jacket! Her dad tried hushing her a few times but she kept asking. I was hoping that this meant nothing…. We eventually took off at about 3:55pm. Fast-forward to 45 minutes later, the pilot announced “10 minutes to landing” and he also mentioned that we would experience some turbulence while landing so we geared up. Our plane started shaking violently, we were trying to descend but we were being pulled and pushed, up, down, side to side in SEVERE turbulence for about 10 minutes. The pilot was quiet. . People were screaming, JESUS, SAVE US, IT IS NOT OUR TIME, JESUS, TAKE CONTROL and all sorts. We eventually started trying to ascend but the plane was being pulled down, the plane was violently shaking. At that time, I quietly began to ask God if it was my time to go? I was just trying to make sense of the whole experience. I had just arrived Nigeria less than 48 hours before from London, had I just come to Nigeria to die with my husband? I started silently agreeing with the people screaming, it is NOT OUR TIME. We will live to die another day, I will die peacefully of old age in my bed! 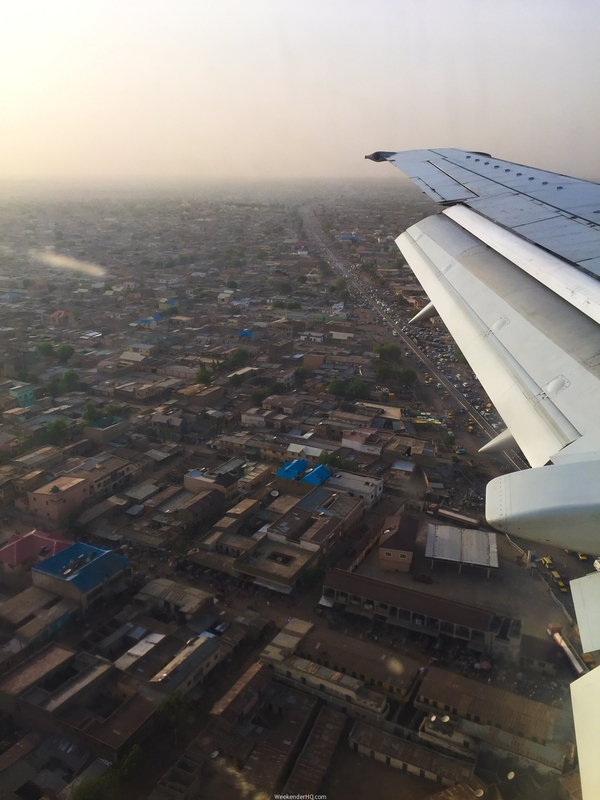 Eventually after close to 12 minutes of struggling we were able to ascend back into the air, the pilot made an announcement that we could not land and we were going to head to nearby Kano to land. He also tried to calm everyone down. Practically everyone was distressed; we also now had a medical emergency for pregnant woman on board and we didn’t have a doctor on board. Thankfully, we managed to land in safely in Kano at about 5:45pm, and many of the passengers were eager to disembark and go by road as the ordeal was just too much to bear with the fear of the Dana plane crash on the 3rd of June 2012 still so fresh. There was NO doctor or medical service available at the Mallam Aminu Kano International Airport for the pregnant lady who needed medical attention. Basically, the Abuja control tower advised the pilots that the Airport was open for landing, meanwhile there was a severe sandstorm and it was impossible for flights to land. Other planes started landing after us, including the Nigerian President Goodluck Jonathan’s plane and helicopters. My suspicion is that they were informed in time of sandstorm and advised to divert without trying to land first like us. The pilots advised us that we would refuel, wait for better weather and then go back to Abuja. Some passengers refused to take the plane so they disembarked. With good reason because my thinking was, if the plane crashed on its way back to Abuja, people would ask but why did they take the flight back when we experienced problems in the first place? We refuelled the plane and after an hour plus of heavy contemplation and prayer by myself and my husband and also the reassurance from the great pilots we had, we decided to fly back to Abuja rather than go by road. We eventually left Kano at about 7:08pm. To the glory of God, we eventually landed safely at about 7:55pm in Abuja after a little turbulence. I hope you can now understand the relief of the passengers when we landed. Aero contractors airline are known for their good reputation in terms of safety and the fact that they don’t take risks when flying so a huge thank you to the wonderful and experienced pilots that got us to our destination and the rest of the crew! Our excellent pilots posed as we left the plane. Now, while I was so thankful to God, I left the plane very upset. My thoughts and questions were? 1. Was it necessary to go though that experience? An Air Algeria flight crashed last year after experiencing a similar sand storm. 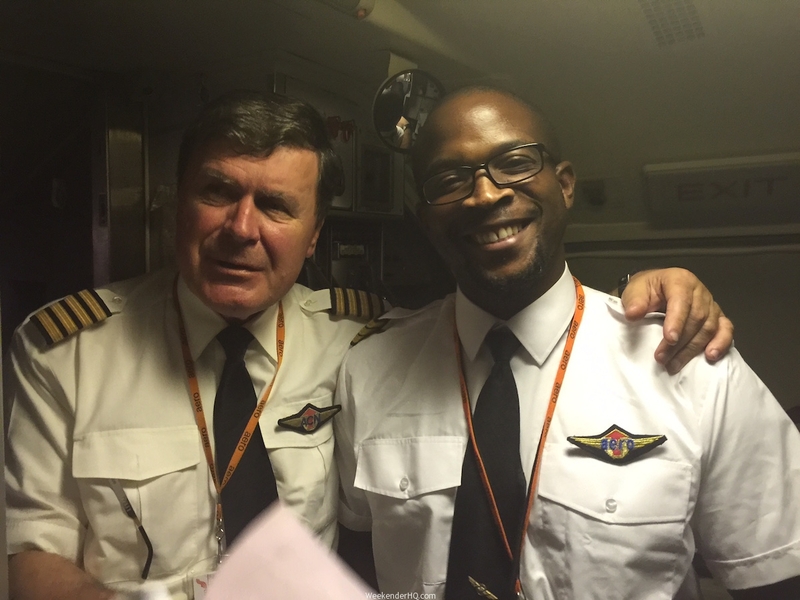 If not for God and experienced pilots, I really don’t know what would have happened to us. 2. But how did we not know the weather was that bad in Abuja? The flight from Lagos to Abuja is only 55 mins. People predict hurricanes weeks before? I am not an airplane official but we need to ask these questions. On ground in Abuja, some cars were thrown off the roads due to the sandstorm, we heard their testimonies in church the next day! Who is going to check that we have proper weather forecasts in Nigeria and that we can predict sandstorms in future? 3. 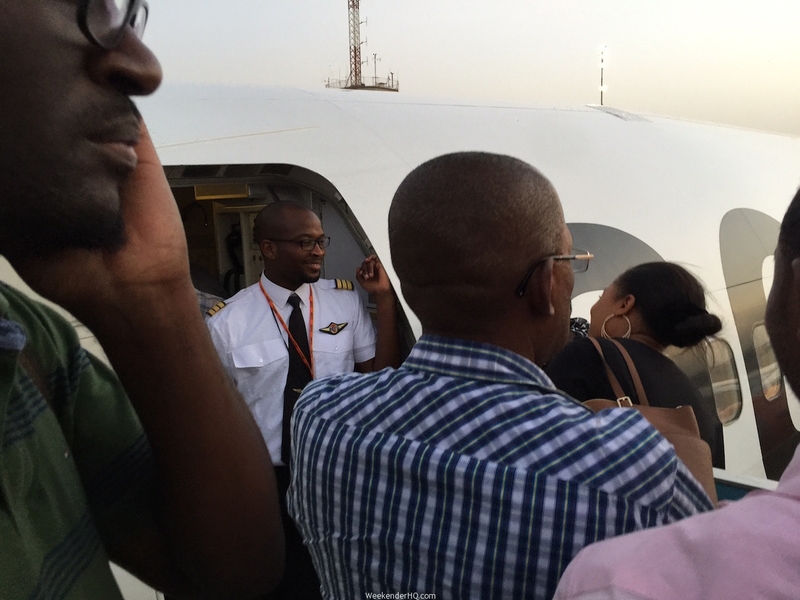 The control tower at the Abuja airport advised the pilots that their airport was open for landing? Was it really? So many planes had to be diverted to Kano and Kaduna in the end because Abuja was not safe for landing. Are they following procedures? Will anyone ask any more questions because there were no air fatalities? 4. At the Kano airport there was no available medical attention for the passengers. Should there really be no medical expert at an airport? The fire brigade also arrived about 30 minutes after, I think this would have been too late if we had a major emergency, considering the fact that we flew for about 40 minutes from Abuja to Kano. 5. Will President Goodluck Jonathan ask for a report of why he had to be diverted and if it could have been avoided for future?? These are open questions that I really hope we can get answers to so we don’t keep losing lives senselessly through plane crashes in Nigeria and living to die another day in another seemingly avoidable situation. My husband has sent a text to the Minister of Aviation and we really hope to get an answer. Were you affected by the sandstorm in Abuja last Saturday or do you have a similar experience? Blood moon - Total Lunar Eclipse on September 28th! Jeez Lola, what an insane experience! Thank god you’re ok! Do you think you’ll feel calm during your next flight? I’ve had similar experiences but never that long nor to the point where the whole plane was screaming! It certainly is one of my biggest fears. A bit of turbulence gets me sitting on the edge of my seat, sweating, praying, cursing myself for wanting to travel! I don’t think I would have dared to continue the flight. I sincerely hope this didn’t traumatise you to the point where you’ll develop a fear of flying!! Oh my! All I can say is thank God for your lives! THANK GOD! …The five year old…. could it be she had a premonition? I have heard a few people refer to little children as spirits! Bless her! God bless the pilots! Very very pertinent questions that need answers and fast! I hope that indeed, a thorough assessment will be done in order to put measures in place to avoid a future reoccurrence but knowing the country that we live in and the incompetence of some of out leaders and those responsible for handling such issues, i wouldn’t hold my breath! Hi Ify, thank you! With the 5 year old girl… I really wonder what happened there. Very interesting. Her dad also said that it’s never happened before! I know what you mean, I wish that they will answer as well as put some more safety measures in place. Oh my! Truly harrowing experience, thank God for his mercies and grace. It is really sad that Nigerians are deprived of basic amenities and facilities. Hope you guys have a safe and drama-free trip back home. Thanks Bolaji, We thank God, it was a horrid experience. And to think that it was no where in the news as well. It’s sad. I sincerely hope that the worst is over and we can now enjoy the rest of our stay!